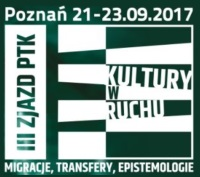 Conference is inspired by the centennial of the publication of The Polish Peasant in Europe and America, by Thomas and Znaniecki (founder of sociology in Poznań). The centennial of the publication of The Polish Peasant in Europe and America, by Thomas and Znaniecki, presents a unique occasion to commemorate the monumental work like not many others. This special commemoration emanates from the breadth and complexity of the book and the extent of influence it exerted over sociology, philosophy, anthropology, social history, and social psychology. The book has inspired analyses of societies, closely connected with the social justice, informed social policies, remained debated and critiqued by opponents and those who considered themselves as ‘internal critics’. The Haverford Institute of Public Sociology. The conference is an element of celebration of 100-years of Adam Mickiewicz University.